As we head into the season where many people will be driving long distances to spend time with friends and family, a large portion of these people may be undertaking the trip alone or be the only driver in the car. In addition to the usual challenges faced during this time, solo drivers face a few more without the help of passengers or co-drivers. 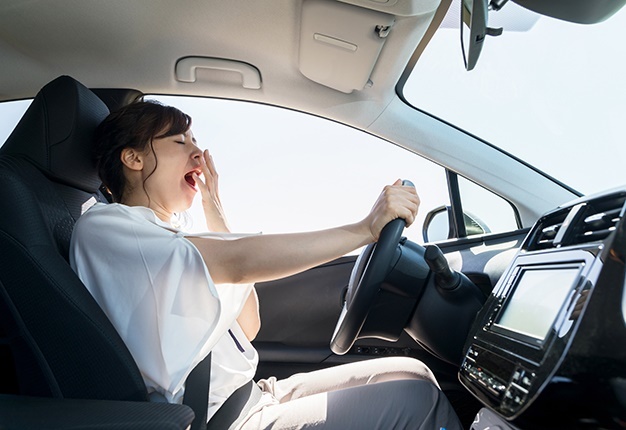 The managing director of MasterDrive, Eugene Herbert, says without other drivers to fall back on, avoiding fatigued driving becomes even more important. "The general rule is that for every two hours of driving, you should have 15 minutes of rest," says Herbert. "If, however, you experience more fatigue than 15 minutes can combat, rather consider stopping for longer. Eat something nutritious and stretch your legs before leaving again. Avoid caffeine or foods high in sugar or unhealthy fats as your energy levels will soon crash," he says. • Ensure you get enough rest the night before and avoid leaving early if you did not get enough sleep. • If you can, avoid leaving early in general. Some road users travel at night in an attempt to avoid law enforcement which creates another potential safety hazard for other drivers. • Know your limits. If you have an eight hour trip ahead of you but know that five hours is the most you can safely do in one day, rather book an overnight stay. • Keep healthy food in the car that will help maintain your energy levels. Examples include proteins like eggs and healthy fats like peanuts. • Plan your stops so that you ensure you stop around the two hour mark. You do not want to skip a stop intending to stop at the next one only to find out that there is another hour between stops. • Ensure you keep your vehicle maintenance up-to-date and do a check on your car before leaving to avoid being stranded next to the road solo. • Keep someone updated on your intended route and progress so that should something go wrong they will soon know if you are not on schedule. This is once instance where it is advisable to keep your cellphone handy in the car in case you run into trouble. If you will be driving alone this December and January, follow these tips to ensure you start the New Year happy, healthy and safe.